JUMBO 2 GALLON PAIL & SHOVEL | American Plastic Toys Inc.
Scoop up all the sand or water with these jumbo pails! 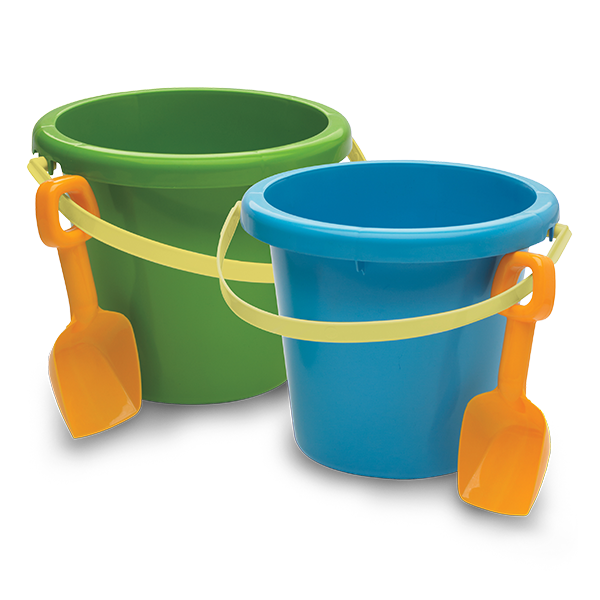 Colorful and durable, these pails include a shovel attached by a removable handle strap. Packed in assorted colors.